How to Make Sure Beneficiaries Inherit in Florida | DeLoach, Hofstra & Cavonis, P.A. How can I make sure my estate wishes are followed after my death? The thought of losing control over a home or business can be a great worry to most people, especially after they've invested so much of their time and effort into building their legacy. 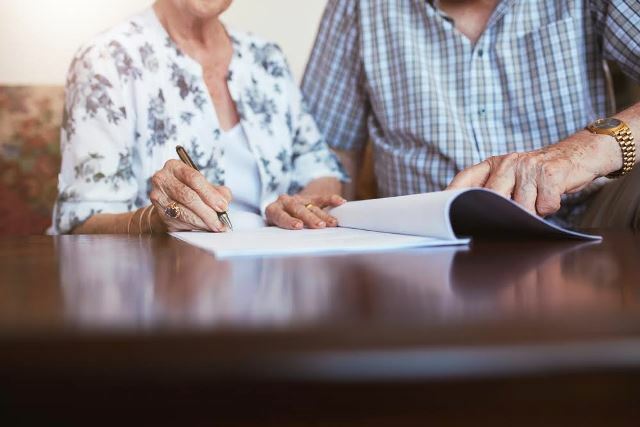 While it's possible to pass everything on to your loved ones, there are several precautions you'll need to take along the way—especially if your estate plan has been left open to technicalities that can rob your heirs of their inheritances. While most attorneys merely create the financial framework for their clients, the experts at DeLoach and Hofstra help clients fund their estate plans with IRAs, 401ks, and transferring assets into trusts. We also advise you on the best use of revocable and irrevocable trusts, IRA trusts and special needs trusts to make the transmission of your holdings as painless and accurate as possible. The beneficiaries you choose to inherit your property will vary over the course of your lifetime, and the provisions you make for your relatives may change as you get older. Children who have come of age may no longer need the trusts that you established for them, while former spouses may still collect on your life insurance policies if their names haven't been removed. We can help you select the beneficiaries who are most likely to adhere to your wishes. If one of your children, dependents, or beneficiaries has taken a loan from you, it may be worth notating it in your estate plan. An unpaid loan at the time of death may affect the amount each person inherits; while classifying the loan as a gift may carry tax implications. Anticipating and avoiding common sources of conflict during inheritance helps keep family members together as grief and tensions run high. Clearly outlining the manner of your funeral arrangements and interment in advance—and notifying affected parties while you are alive—can go a long way toward preventing disruptions later. We include funeral wishes as part of our estate planning binder. In addition to carefully choosing the people who will inherit your holdings, our estate planning binder contains separate lists to name who should inherit your cherished personal property. These items may be called into question if they're not signed and dated, or do not contain enough detail to fully describe each item. Unlike other attorneys, the experts at DeLoach and Hofstra offer a free review of your estate plan every five years to make sure your estate plan is current and your wishes will be followed. As part of this process, we can review the designations in your healthcare directives, decide who to designate as power of attorney, remove deceased inheritors, and add provisions for new inheritors, such as new spouses or children born after the previous estate plan was established. The provisions enforced in an estate plan are final, and you won't be able to apologize or explain any of your choices to avoid hurt feelings after your passing. However, failing to make an estate plan in order to avoid potential negativity often creates more problems than it solves, and forces loved ones to deal with court battles and family arguments while they're trying to grieve. A thorough estate plan tells your loved ones they are special to you, and allows you to be remembered in the way that would please you most. The best way to avoid surprises and learn your best options is to prepare your plan with an experienced estate planning and elder law attorney. Use the convenient content form on this page to schedule a free consultation to speak to an attorney about the best way to protect your future wishes.